With today's 10-second tease video with Matthew Broderick hinting at a "Ferris Bueller's Day Off" sequel, it is only fitting to take a close look at Ben Stein's ongoing legal battle with Kyocera. Stein, who played the memorable high school teacher in the 1986 movie ("Bueller? Bueller?") was set to film a commercial for Kyocera, the producer of cameras, copiers, printers, mobile phones, and the like. Even though Ben Stein's lawyer "considered the deal done" according to the lawsuit, it appears there never was a signed contract between Kyocera and Stein. The company is very environmentally conscious and ultimately decided not to use Stein, who is a practicing Jew, upon learning of his anti-science views on global warming. Stein shot back against Kyocera claiming the company is infringing on his religious freedom since he maintains that as a Jewish man he believes that God and not man controlls the weather. Formally, Stein is claiming that Kyocera's refusal to let him pitch their products constitutes "wrongful discharge in violation of fundamental public policy." Ben Stein claims that he is by no means certain that global warming was man-made, a position held by many scientists and political conservatives (Stein was a speechwriter in the Nixon Administration). His argument is that the opinion of whether man makes the weather or God makes the weather is a matter of religious belief and Kyocera has fired him based on that which is a violation of state and federal law. Ben Stein's arguments that his religious beliefs were being called into question and his rights were violated did not hold up very well. 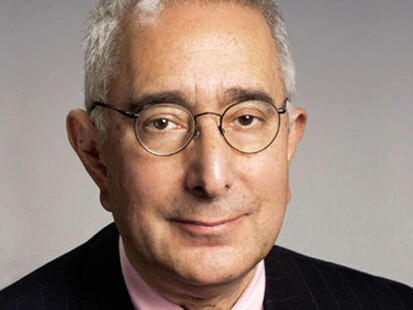 He then made a different complaint arguing that an actor who looks like him, Peter Morici, ultimately was featured in the Kyocera commercial and he is "an explicit misappropriation of Ben Stein’s likeness and persona, which is an explicit violation of Ben Stein’s rights of privacy and of publicity, barred by California law." If anything came out of this lawsuit it is that we now know that name Peter Morici. And if Ben Stein can't agree to a contract to reprise his role as the boring econ teacher in the "Ferris Bueller's Day Off" sequel, Peter Morici will get another gig.